Why is TbFree Poisoning Kea Habitat? “Despite having a very low human health risk now, bovine TB is still regarded as an unwanted disease in New Zealand because of the negative consumer perceptions and adverse market reactions it could generate. High levels of TB would also cause significant production losses for New Zealand farmers…. What do science and history say? The Animal Health Board, now called TBFree, has no rational basis for using aerial 1080 poison to kill possums. “operations to reduce possum numbers in Tb-problem areas would need to encompass at least 1 km of forest adjacent to pasture…. Tb is found in a wide range of wildlife, not just possums. The role of other wildlife in spreading and maintaining Tb infection is not very well known. “Hedgehogs, pigs, cats, sheep and goats are now considered to be amplifier hosts, and spread the disease to other species only when inspected or their carcass scavenged. Whereas it is not even known how a possum would give Tb to a cow! http://1080science.co.nz/wp-content/uploads/2014/07/tbfree1.jpg 530 800 vicki http://1080poison.co.nz/wp-content/uploads/2013/04/logo1.jpg vicki2014-07-05 20:56:432015-03-12 18:45:47Why is TbFree Poisoning Kea Habitat? 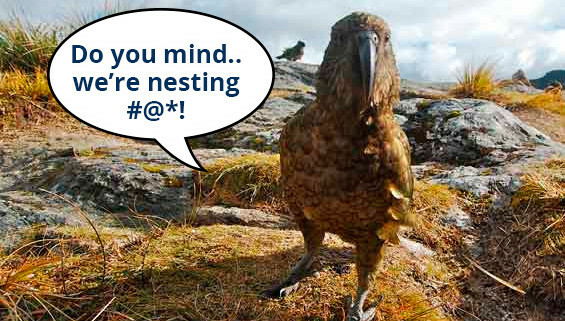 To monitor effects of 1080 poisoning, Kea are harrassed during nesting and year round. Many wear backpacks with transmitters. “to our surprise, there was a wee chick there! I say wee but he weighed over 1000g. Cory got him out and we weighed, banded, took bloods and feathers and measured him. We attached a satellite transmitter as part of Erin’s work…. [Saddleback] “Ten birds had tail-mounted transmitters attached and were monitored weekly. Two weeks after release, four transmittered saddleback were found dead following a week of extremely cold southerlies which brought snow to the higher parts of Boundary Stream. Necropsies of two birds found they died of aspergillosis, a common fungal disease that can become fatal when the bird is under stress. One bird had a broken neck, but mammalian predation was ruled out. The fourth bird was too decomposed to necropsy, but no obvious signs of predation were found. “At the start of the 2011 season there were twenty-one kea radio tagged in the Hawdon valley, Arthurs Pass, to be monitored. Six transmitters were found to be in mortality mode (4 of which were adult breeding females). The loss of these birds significantly reduces the possible sample size of nests to monitor. Additionally, nine transmittered birds remained unaccounted for resulting in only six kea able to be followed. “Three of these kea are adult females of which only one has been identified as attempting to breed (Queen Pow Pow). The other two females showed no indication of having active cavities or notable courtship or nesting behaviour. Nest cameras set up at the Queen Pow Pow’s nest showed that this nest was abandoned with an egg intact and this pair moved to another nest site which also did not produce chicks. “Information gleaned from this nesting season appears to indicate that the high number of deaths of both adult and sub-adult birds may now be affecting productivity. “We radio-tagged eleven near-fledgling chicks during three summers of our study and in three subsequent summers we flew at 2500-3500 m, in a radio-telemetry equipped fixed wing aircraft over all forested mountains within a 50-km radius of the nests. Why is the NZ Government poisoning Kea? Beech masting is natural, temporary, and its effects are not well understood or predictable. 1080 Poison Causes Pest Plagues…..are these the real reason for Doc’s current “Battle for the Birds”? 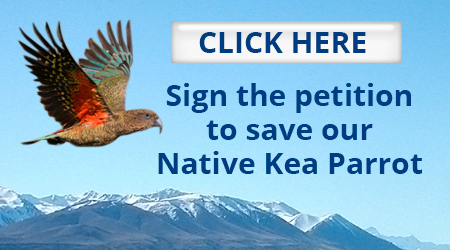 Please help save the kea and other precious native creatures from 1080 poison. http://1080science.co.nz/wp-content/uploads/2014/07/nz-flag.jpg 286 587 Dr J.C. Pollard, BSc (Hons), PhD, Zoology http://1080poison.co.nz/wp-content/uploads/2013/04/logo1.jpg Dr J.C. Pollard, BSc (Hons), PhD, Zoology2014-07-05 09:45:342014-07-05 20:54:52Why is the NZ Government poisoning Kea? The Kea, the world’s only mountain parrot, needs your help! Cinnamon-flavoured, cereal food pellets will be spread from the air, twice. The first time they will be just flavoured cereal. The second time, they will contain deadly 1080 poison. Kea will eat the cereal baits and die. They will also be poisoned if they drink from ponds and alpine tarns where the baits lie, or scavenge poisoned carcasses or eat the dying insects surrounding the poisonous baits. 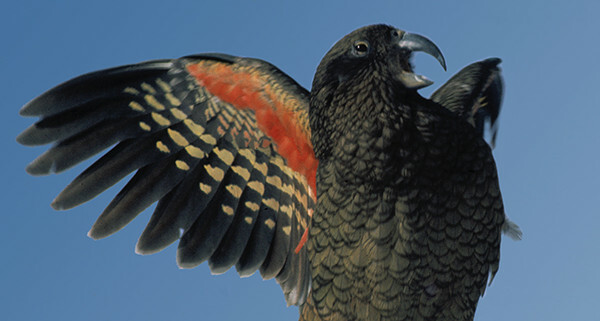 It was first recognised that the government’s poisonings were killing kea in 1963. In 2008, government monitoring of the kea began. The monitoring showed that large numbers of kea were dying. At one site (North Okarito) 77% of the monitored kea died. 1080 poisoning is very cruel. It causes extreme spasms and vomiting, with suffering for many hours or days. No bird repellent will be used. No repellent has been successful so far. http://1080science.co.nz/wp-content/uploads/2014/07/kea-small.jpg 584 600 vicki http://1080poison.co.nz/wp-content/uploads/2013/04/logo1.jpg vicki2014-07-04 21:43:032014-07-05 22:47:19The Kea, the world’s only mountain parrot, needs your help! and fauna from exotic mammalian pests, and that the benefits of aerial poison operations outweigh their risks. 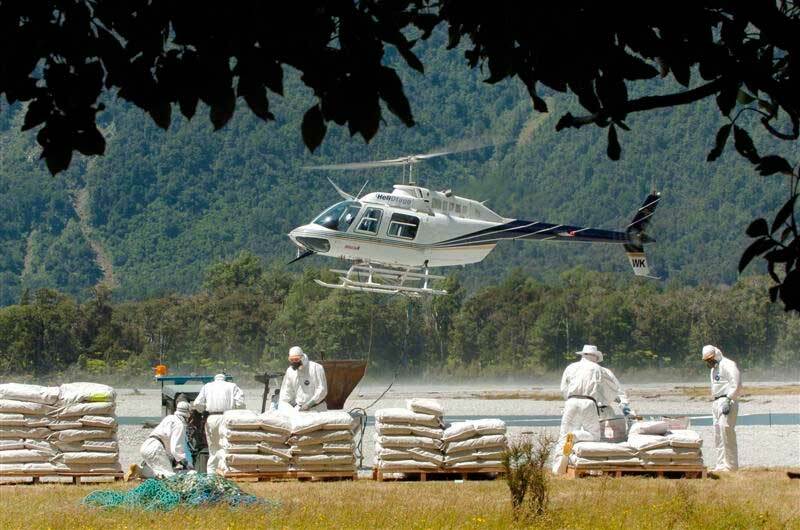 This manuscript presents a critical review of the existing scientific literature on the non-target effects of aerial poison operations in New Zealand. This review reveals that in this complex, multifactorial situation, the relevant science has been selectively interpreted, selectively studied, and moreover, left grossly incomplete in its scope, possibly in favour of non-environmental, short-term economic interests. Using the existing scientific information on non-target effects of aerial poison operations, a basic cost-benefit analysis employing a numerical scoring system was performed. This cost-benefit analysis, which compared the potential costs and benefits to native species of aerial poison operations versus unchecked possum populations at their peak density, indicated that aerial poison operations have twice as many potential costs to native species as potential benefits, and that aerial poison operations were potentially twice as costly to native species as unmanaged possum populations at their peak density. The potential for widespread poisoning of New Zealand’s large number of endemic and threatened/endangered omnivorous, insectivorous, and carnivorous bird species by the uncontrolled distribution of poison-laced food throughout an entire ecosystem is a serious issue worthy of international concern and immediate action. Why is there an argument over 1080? For many decades New Zealand has been racked by arguments over the widespread use of aerial 1080 poison. Both sides of the argument are supported by intelligent and committed conservationists so why can’t consensus be found when both sides care deeply about the birds and the forests. The answer lies in what the opposing parties expect the outcomes from the aerial poisoning operations to be. From the pro-poisoning side we have numerous examples put forward of the results of successful operations. An example of this is the widespread media coverage of the results from the Tongariro Forest Sanctuary where a 45% improvement in fantail nesting success was hailed as an example of the successful use of aerial poisoning operations. This result was honest and truthful and the pro-poisoning group, and the general public at large, had every reason to be impressed and to support continuing poisoning operations in the belief that further ecological gains could be made from more such operations. 2000 – 20.2% nesting success baseline estimated from reported results. 2001 – Widespread aerial 1080 drop. 2002 – 45% nesting success from 32 nests. 2003 – 11.76% nesting success from 62 nests. 2004 – 12.2% nesting success from 47 nests. 2005 – 16% nesting success from 32 nests. This is a perfect example of why we have two different opinions of aerial 1080 poisoning operations. One group, the aerial poison supporters, see the results after one year and rejoice. Those who oppose aerial poisoning operations look at the results after three years in dismay and this is why we have so much conflict. We are looking at different results. Does it matter? – It sure does. This operation showed clearly that although the aerial poisoning operation helped individual fantails with their nesting success in the year after the poisoning operation it did not extend to a benefit to the fantail population as a whole and this is where it matters. Any pest control operation for ecological benefit is pointless unless it translates into more birds in the population three and four and more years later. There is a large list of operations where widespread aerial 1080 poisoning operations produced marked increases in bird populations in the short term but the benefits were not carried on to the population level. In ecological benefit terms, they were ineffective. Why don’t the short term results translate into more birds in the population? To find this out we need to go to the science. A hint of the problem was given to me by John Innes of Landcare Research many years ago during a lecture on tui habitat enhancement. What he was explaining, in a very effective way, was that although cats take some birds, as do possums, stoats, myna and a variety of other species, they don’t come close to rats as the major predator of our native birds. With such a notorious record we need to have a closer look at how it is, that even today, rats are able to unleash such an onslaught on our indigenous species. Another concerning point is raised in the website ‘Enuf is enuf’. These comments are startling but do not identify the science to back up the claims. Without references to good science they might merely be opinion. To get sound answers that we can have confidence in we need to turn to science. Most recent research in this country has been undertaken in an effort to support the use of widespread aerial poisoning. As such the aim of the science has largely been to identify the BENEFITS of the poisoning campaigns not the IMPACTS of them. It has been widely identified that our science is contaminated by what is known as ‘paymaster bias’ whereby the researchers unconsciously tend to produce the answers the employing agency wants to find. There are large numbers of examples of this unconscious bias internationally (the impact of cigarette smoking on health is a good example) and it is not the purpose of this document to expand on that but merely to point out that, because of it, good science into the impacts of aerial poisoning operations is hard to find. Unfortunately, in general, the only facts we can draw on are the small snippets and aside comments which appear from time to time in the mainstream science. These small gems form the basis of the discussions which follow. In other words the rat population had completely recovered after seven months. Remember that stoats have been recognised as the major predator of kaka. What these researchers are saying is that an untreated area of forest will have a lower average number of rats than an area which receives regular 1080 drops. This is exactly the opposite of what is intended by aerial poisoning pest control for ecological benefits. The science points noted above all indicate very bad things happening in our forests after aerial 1080 operations have artificially boosted rat populations to levels which no indigenous species can possibly hope to cope with in the medium to long term. I have personal experience of these vast plagues of rats after aerial 1080 operations in Pureora Forest Park. One evening I set a trap because we had rats everywhere, before I had a chance to get into my sleeping bag the trap went off, I thought it had sprung itself so went to reset it only to find it had already caught a rat, I reset it and before I could get to my sleeping bag a second time the trap went off again but this time I had caught three rats at once. At that point I gave up. On another occasion I set a rat trap on the roof of my bivvy, as I stepped back a rat ran out from under the roof and immediately got caught, as it was kicking its last it flipped the trap upside down and was still twitching when a second rat ran out and crawled under the trap to eat the cheese bait. I was less than two metres from all this activity. This gives an indication of how desperate rats get when large populations face starvation. Imagine a wee short tailed bat fossicking on the forest floor amongst that teeming horde of assassins. It spells doom for many native birds, plants, animals, and invertebrates. Why do rats repopulate a poisoned area so quickly? The reason is that during the poisoning operations we remove some of their predators (secondary poisoning kills cats and stoats) and competition for food and shelter. In other words we artificially create a perfect storm for rat breeding. In the same time it takes a native bird species to produce four young a pair of rats can produce 4000. This extremely long lag phase in the stoat population growth curve gives the rats a huge head start in developing a population with minimal predation. How can we have ignored the severe negative impacts on our indigenous species from aerial 1080 operations for so long? Perhaps our New Zealand science is unsound, biased, or just plain wrong! To check this hypothesis we need to look at 1080 poisoning projects targeting rats in another country to see if their results confirm or oppose our conclusions. Researchers in England undertook a rat poisoning campaign using hand placed 1080 baits in an effort to identify what happens to a rat population after poisoning. This science uses the weight of bait uptake to estimate changes in rat population density, the reference to 3000 g indicates a high population (because of the high bait uptake) and the 1000 g infers a lower population because only a small amount of bait was taken. The point is it didn’t matter how severely the populations had been reduced they all recovered to pre-poisoning levels within six months. This comment refers to a double poison trial which reduced the rat population by 97.1% but that population subsequently increased to a level equal to the trial where only 87% of the rats were removed. This supports other conclusions in this science which highlights that rat populations return to pre-poison levels very very rapidly. It is clear that the result of science overseas is unambiguous in its support of our own. So why don’t we do aerial 1080 poison drops every year to keep the rats under control? The answer to that is easy. Aerial 1080 poison drops kill native birds too, lots of birds, and lots of other native species as well. This fact is freely acknowledged by the pro-poisoning groups. After an aerial poisoning operation it takes several breeding cycles for the poisoned bird populations to struggle back to pre-poison levels. If the poisoning cycles are too frequent then some native species will quickly be eliminated. It is possible that some already have. Remember also that these poisoned bird populations have to try and regain their pre-poison population levels in the face of an artificially induced rat onslaught. Other overseas science disagrees with the way we regularly utilise aerial 1080 for rat, and other, pest control operations. Why don’t we know more about the negative impacts of aerial 1080 poisoning operations? The main reason is because we are NOT LOOKING!!! Poison operations are expensive and the point frequently raised is that if we spend money on monitoring then that is less area we can afford to poison. Very few, if any, resource consents for poisoning operations require the applicants to monitor the operation for unforeseen negative impacts. The main reason we are not looking for unintended consequences is that the Department of Conservation has an institutionalised infatuation with aerial 1080 poisoning operations and uses its position to produce public information which can almost be classed as dishonest. An excellent example of this is when I received two kokako research science papers from the Department under the Official Information Act. Studying the science shows no such thing. Aerial 1080 was used annually from 1990 to 1993 but the graph of the number of territorial adults on page 209 shows a gradual loss of population over this time. It is only after 1993 when targeted pest control using brodifacoum in bait stations was instigated that the kokako population increased markedly. 1080 poison was used in 1995- 1996 but it was placed in bait stations in place of brodifacoum that season not aerially broadcast. It can be seen from this that although the Department was strictly correct in stating that the population did increase after aerial 1080 operations the inference should not have been that aerial 1080 operation was the cause of it as it is simply not true. It is like saying that the sea got rough after the petrol in my car ran out. It is true but totally irrelevant and mischievous. In another example a high DOC official stated on national television that without aerial 1080 the Mapara kokako population would not exist. This is in the face of the science produced by the project which shows that the kokako population continued to decline while aerial 1080 was being used. These sorts of statements are designed to be misleading so the general public remains supportive of unscientific and ineffective pest control campaigns and their funding streams. Why is the Department of Conservation continuing to support aerial 1080 operations in the face of overwhelming evidence showing it is harmful to our native species? Why are they blind to the science? – I don’t know. The Department of Conservation has a large staff of outdoors oriented ecological experts with a passion for our native critters. Why are they turning a blind eye to the destruction of native species which the artificially induced rat populations are causing? Is it simply that they don’t know what else to do? Is it because they have been aerially poisoning for so long that it is now entrenched and “just the way we do things”? Is it because they have supported aerial 1080 poisoning operations for so long that they are now afraid of losing face if they admit that they have been wrong for so long? Is it just because aerial 1080 is the easiest and they don’t know what to do next but have to be seen to be doing something? This year is a mast year and the Department has received around 12 million dollars in extra funding for aerial poison operations to limit rat populations (remember aerial 1080 does NOT kill mice). We know from the science that the operations are going to generate very large rat populations in the years following the poison drops. What is the difference between high rat numbers created by a mast year and high rat numbers created by the control operations themselves? The only difference is the 12 million dollars. No doubt if any New Zealand ecological scientists read this document they will say that everything I have identified here is old knowledge which has been around for ages, and it has. We have been misinformed by a whole series of organisations including Animal Health Board, Department of Conservation, Regional Councils, Forest and Bird, even the Commissioner for the Environment and Central Government. All have played a part in what can only be classed as propaganda in their push for aerial 1080 operations alleging benefits to indigenous wildlife when the science shows that it cannot be true at the population level which is where it matters. Yes we definitely have ‘Silent Forests’ in New Zealand, no question, and both the pro-aerial poison and anti-aerial poison groups agree on this. Until we fully understand WHY we have silent forests we don’t stand a chance of developing successful strategies to ‘bring back the birds’. It is a given that rats kill large numbers of native species. It is also a given that aerial 1080 operations breed large numbers of rats. Research is the search for the truth. Management is the application of the truth. There shouldn’t be any argument. [xii] Change in diet of stoats following poisoning of rats in a New Zealand forest. Short communication. Elaine Murphy and Philip Bradfield. [xvii] Population Dynamics of Sewer Rats. S.A Barnett Dept of Zoology, University of Glasgow and A.H Bathard Ministry of Agriculture and Fisheries, Tolworth, Surrey. [xviii] Proceedings of the Fifteenth Vertebrate Pest Control Conference 1992. University of Nebraska. The Effect on Australian Animals of 1080 Poisoning Campaigns. John C McIlroy. Division of Wildlife and Ecology. [xix]Uncertainties remaining about non-target effects of aerial 1080 operations and experimental designs for exploring them. Veltman and Westbrooke. [xxi] It’s often better to eradicate, but can we eradicate better? E S Zavaleta. Dept of Integrative Biology, University of California. http://1080science.co.nz/wp-content/uploads/2014/05/NZ-14.jpg 500 1700 Murray Dench http://1080poison.co.nz/wp-content/uploads/2013/04/logo1.jpg Murray Dench2014-05-22 08:46:142017-07-04 04:55:31Why is there an argument over 1080? Monofluoroacetate (know as Compound 1080) was originally developed and marketed as an insecticide. It functions primarily by interfering with the citrate step in the Krebs cycle . The Krebs cycle is the major and an essential mechanism by which all air breathing creatures utilize food to produce energy. It is therefore universally toxic to all animals, essentially every living thing except plants and some micro-organisms. The degree of toxicity of 1080 is extreme, but varies somewhat among species. It is categorised by the World Health Organization (WHO) as 1A, their highest rating, “extremely toxic” [1,2]. The PAN pesticide database classifies 1080 as one of the few “PAN Bad Actor Chemicals”, by which it means “highly acutely toxic” . It can kill every air-breathing animal. One hundred milligrams is sufficient to kill an adult human . In theory, one could kill at least 20 million people with the amount being dropped into New Zealand Forests every year. Research by the National Poisons Centre and the Otago University’s Pharmacy School which was presented at an International Poisons Congress in 2008 found that dogs across New Zealand are at extreme risk of poisoning from 1080(1). The researchers carried out a postal survey of 125 randomly-selected veterinarians. Fifty-two vets responded and within their practices over a one year period, 65 dogs poisoned by 1080 had been dealt with. Three of the 52 respondents had each treated 10 cases. Only 25% of the treated dogs survived (only those that had not shown clinical signs of poisoning before treatment). Unfortunately for dogs and their owners, it is likely that the real number of deaths has actually increased in recent years. This is because the area over which 1080 poison is being spread has been increasing; a significant increase in its use (proposed by the Department of Conservation (DoC) and the Animal Health Board (AHB)) was a major reason for ERMA’s re-assessment of 1080 (Committee Decision, page 15). Furthermore, the controls outlined by ERMA in 2007 require that signs warning of 1080 poison must be removed, after remaining in place for a minimum of six months (or less if toxin removal or testing indicates the area is safe)(4). This control was imposed without any knowledge of how long 1080 remains a risk in carcasses, although it was admitted that “1080 residues in the carcasses of poisoned possums may be very slow to break down” (5). This possible effect of the toxin helping to preserve the carcass has not been taken into account by DoC when drawing up its operating procedures. For some years now DoC has monitored carcass breakdown at poisoned sites but these carcasses “can be sourced from anywhere” and are not required to be poisoned (8). According to ERMA, the AHB (the biggest user of 1080 in NZ) and other users merely assume that six months after the operation the signs can come down. Carcasses of 1080-poisoned animals are a huge risk to dogs because of the persistence of the poison and because dogs are so susceptible to it. Just 1.75 mg of 1080 poison will kill a 25 kg dog, and enough poison is spread aerially per hectare to kill over 2,500 dogs (Table 1) (and 125 times more poison than required per possum). 1080 poison concentrations in possum gut contents were 30.6 mg/kg after 25 days and 4.9 mg/kg after 75 days in one study (9). In another study 1080-poisoned rabbit carcasses became more toxic as they aged, possibly because of dehydration (10). Source: Dr Hugh Barr, NZ Wildlands Biodiversity Management Society Inc. Dogs exposed to less than lethal doses of 1080 are likely to suffer damage to the heart, other organs and reproductive tissues, and unborn puppies are likely to develop deformities, as these effects are seen in other mammals (11). Water supplies are a likely source of on-going exposure to 1080, wherever poisoned carcasses enter them (12). Coupled with the risk of poisoned carcasses is the fact that the baits themselves can remain toxic for months, especially when carrot is used, and when baits fall in dry areas. An example of the on-going risk was 78 sheep that died after grazing an airstrip used to load 1080 poisoned carrot bait, 20 weeks after the operation(13). In Fiordland, some cereal baits “looked quite fresh” after seven weeks, according to a report from DoC field staff (Waitutu 1080 operation, 2010) (14). Another blow to dog owners from the ERMA re-assessment was its decision to remove the requirement to erect a sign warning of forthcoming poisoning. No prior warning sign at the site is required now (15). Historically, concerned officials have attempted to prevent the use of 1080 because of its extreme risk and cruelty to dogs. For example a biologist working for the US Fish & Wildlife Service wrote in 1948: “the spasm period of victims, particularly the canines, seems unduly violent…The severe spasms associated with 1080..[is an] outstanding objection” (16). Another example is a report from 1972 that stated that our own Rabbit Destruction Council had suggested arsenic as a substitute for 1080 due to the danger to farmers’ dogs (17). Dogs owners are advised to read public notices carefully and to consider all 1080-treated areas as extremely hazardous.